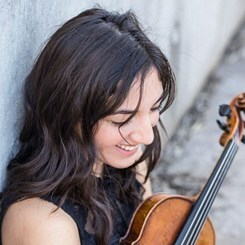 My name is Ariana and I teach violin, viola, and piano lessons at Music & Arts in South Austin and Round Rock. I began studying the violin at an early age and continued my education at the University of Texas at Austin, where I recently graduated. You can currently find me performing with the University of Texas Orchestra and the Austin Philharmonic. In addition to classical music, I also enjoy exploring alternative styles (middle eastern music, fiddle styles, jazz). My goal in teaching is for the student to develop strong technique as well as a personal connection with their instrument. I look forward to meeting you! Call the store at (512) 892-0044 to set up an appointment. Request Lessons with Ariana today!